One of the most frequently debated issues in eye care in recent years has been over three similar treatments for wet age-related macular degeneration (AMD), the most severe form of a disease that is the leading cause of blindness among older Americans. Here ophthalmologists provide background into why there is so much buzz about the three drugs and what the public should know about their similarities and differences. In the United States, an estimated 11 million Americans have some form of AMD, which is a disease that erodes central vision, which is necessary for day-to-day activities such as reading, driving and identifying faces. AMD has two forms – wet and dry. While dry AMD leads to a gradual loss of vision, wet AMD leads to faster vision loss and is the most advanced form of the disease. It is responsible for 90 percent of all AMD-related blindness. A decade ago, wet AMD was considered untreatable and two-thirds of those affected could expect to be legally blind within two years of developing the disease. 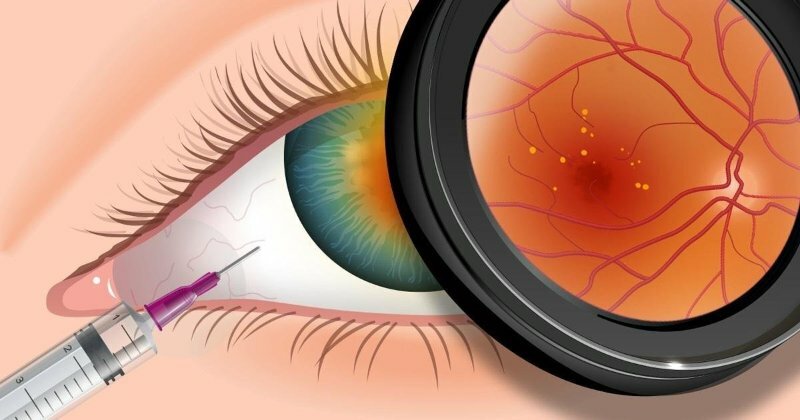 Today there is a very different story about wet AMD thanks to the introduction of injectable anti-vascular endothelial growth factor (anti-VEGF) drugs. The usage of anti-VEGF drugs has nearly halved the incidence of AMD-related blindness in some countries, and ophthalmologists are now able to help wet AMD patients maintain – and in some cases restore – vision. There are several anti-VEGF drugs available that are currently used to treat AMD, but three are most commonly used for the condition. Two of these, ranibizumab (brand name Lucentis®) and aflibercept (brand name Eylea®), were designed specifically for the treatment of AMD. A third drug, bevacizumab (brand name Avastin®), was originally developed to treat various types of cancer, but is commonly used “off-label” in patients with AMD. As doctors and the media debate the relative merits and disadvantages of Avastin, Eylea and Lucentis, the growing collective experience of ophthalmologists indicates that all three are safe and effective treatments for wet AMD. Wet macular degeneration occurs when abnormal blood vessels begin to grow underneath the retina and leak blood or fluid that blurs central vision. A chemical called vascular endothelial growth factor, or VEGF, causes this abnormal growth. Anti-VEGF treatments—Lucentis, Eylea and Avastin—work by seeking out harmful VEGF molecules and blocking them. This reduces abnormal growth and leakage, which helps to stabilize vision loss and, in some cases, can improve sight. Patients can receive treatment in their doctor’s office. The ophthalmologist will place anesthetic and antiseptic drops on the eye to numb it, then administer the anti-VEGF drug by injection. The recommended frequency of these injections varies from every few weeks to every few months, and duration of treatment varies by case. Patients will likely require multiple doses over the course of many months, and repeat treatments are often needed for continued benefit. The differences between the three therapies are considered clinically insignificant by many ophthalmologists. But here are some differences that your ophthalmologist may explain to you as you discuss the options. While Lucentis and Eylea have been FDA-approved for use in the eye, Genentech, the company that manufactures Avastin, as well as Lucentis, has not sought FDA approval for Avastin to be used as treatment of wet AMD. However, Avastin was FDA-approved as a treatment for colon cancer in February 2004, and since then has been used by ophthalmologists to treat wet AMD “off-label” with great results. In fact, half of ophthalmologists prescribe Avastin as a first-line treatment for wet AMD. Avastin, at approximately $50 per average treatment, is significantly less expensive for the patient than the alternatives (~$1,800 for Eylea and ~$2,000 for Lucentis). Eylea’s and Lucentis’ significantly higher price tags reflect the costly process of FDA approval for their intended use. Although Avastin carries a similarly high price tag when used for colon cancer, it is much less expensive as an eye treatment because only 1/40th of the drug is being used for each dose. Price is often a deciding factor for patients. The manufacturers of Lucentis and Eylea do offer some patient assistance programs to help subsidize costs. But for many individuals, the nearly $2,000 difference between these two drugs and Avastin can add up to thousands of dollars or more in out-of-pocket costs over the course of treatment. This cumulative price differential has been the main focus of media stories about the three drugs. Also related to the issue of cost is insurance coverage. All three drugs are covered by Medicare, but the terms of coverage can be complex. Not all injections may be covered by each insurance carrier. Numerous studies have concluded that there are minimal differences in risk between the three drugs. A concern is that there is a greater possibility of infection with Avastin due to potential contamination when the drug is being repackaged into smaller doses for the eye. When appropriate guidelines are followed for preparing such medicines, this risk is minimized.&nbsp; Additionally, “in the vast majority of cases of eye infection, the source is the surface of the patient’s own eye, rather than contaminated medication or anything else,” said Abdish Bhavsar, M.D., Academy clinical spokesperson and retina specialist. Since Lucentis and Eylea are FDA approved for use in the eye, they are manufactured and delivered to ophthalmologists as eye injectables, usually stored in the ophthalmologist’s office and available for use whenever they are needed. Avastin, in contrast, is a repackaged drug. It is shipped from the manufacturer to a special pharmacy that repackages it into smaller doses for the eye and then delivers it to doctors’ offices. If you and your ophthalmologist decide that Avastin is right for you, you may have to come back for a second appointment to receive the treatment. In most cases your doctor will be able to pre-order your prescription each month and have it ready for your subsequent appointments, minimizing this issue after the initial treatment. Multiple studies have compared these anti-VEGF drugs and found comparable effectiveness in helping patients retain their ability to see, so the American Academy of Ophthalmology recommends that ophthalmologists counsel patients about the availability of all three treatments. Patients may differ in how their eyes respond to one treatment versus another. Additionally, there may be cause at some point during a patient’s course of treatment for the ophthalmologist to switch patients from one drug to another. Your ophthalmologist will help you pick a therapy after reviewing your unique condition and the relative tradeoffs of these treatments.